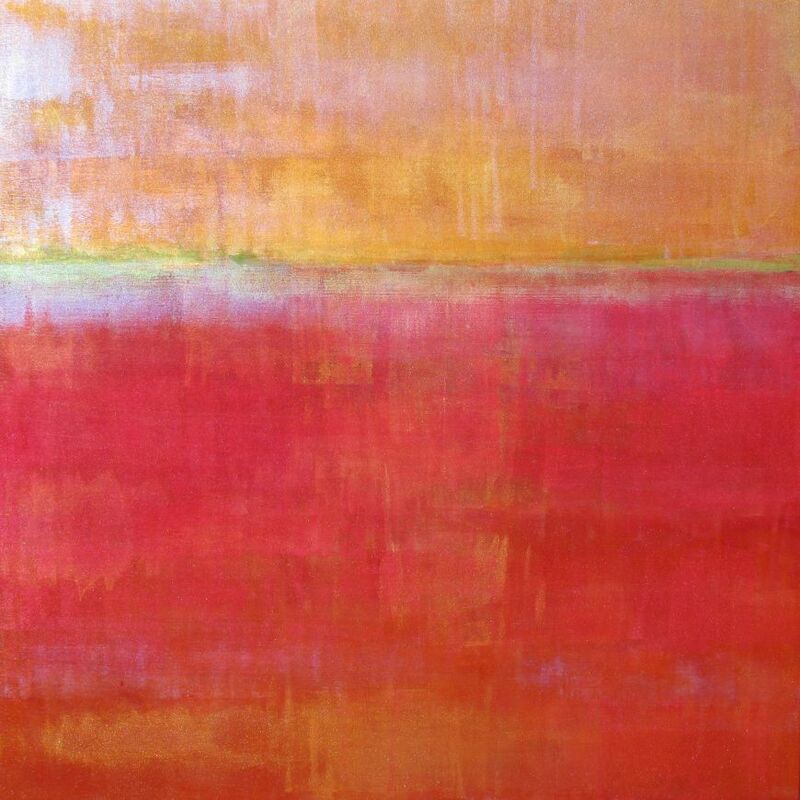 From her most recent body of work, View Across is inspired by the horizon and its limitless variations in color. Choppin works on cradled board with acrylics, including interference and irridescent colors. The layers are built up and scraped back as she tries to capture the light of the moment. To display an elegant trio, View Across can be grouped horizontally or vertically with All Blue and Low Tide.